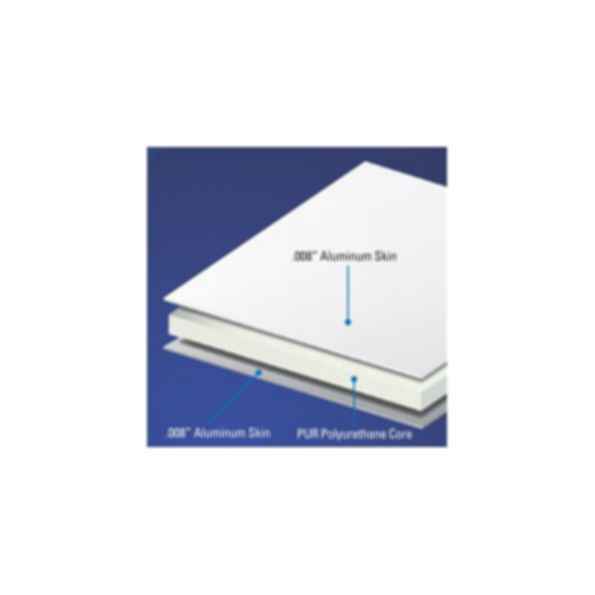 KAPA® tech is the new and innovative lightweight foamboard of 3A Composites. The pioneering composition of PUR foam and aluminium skins combines light weight with rigidity. KAPA tech - in both the 3/16-inch and 3/8-inch thicknesses - successfully has met Class A material requirements when subjected to the ASTM E84 fire test, which measures a product's flame spread and smoke development. Class A materials are approved for interior signage and other graphic display applications requiring the most rigorous fire-performance standards. In UL-94 testing, KAPA tech - in both the 3/16-inch and 3/8-inch gauges - has achieved a V-0 rating, which proves this material is self-extinguishing and will not support combustion. KAPA tech offers perfect characteristics for a lot of interesting applications in transport and industry as well as in visual communication.